Approximately 13 percent of 30-day hospital readmissions occur due to adverse drug events (ADE), according to a study recently published in the Journal of Patient Safety. What’s worse is that nearly 83 percent of these cases involved serious ADEs, and nearly 93 percent of the ADEs were preventable. The study also found that nearly 49 percent of the readmissions were due to prescription errors (e.g., misprescribing, overprescribing, under-prescribing) related to diuretics, analgesics, or antithrombotics. The remaining half were related to suboptimal patient monitoring/education, such as adherence issues. Another study published recently in the Journal of the American Pharmacists Association found that 26 percent of readmissions were medication-related and potentially preventable . 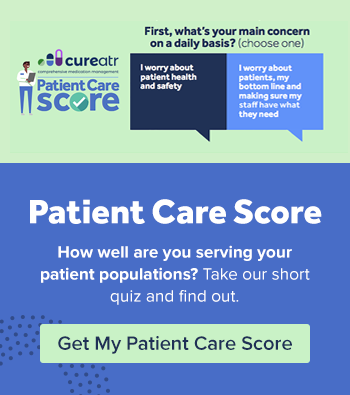 The most common categories of readmission causes were non-adherence due to patient choice (approximately 24 percent), untreated condition for which medication is indicated (approximately 13 percent), dose too high (approximately 10 percent), and dose too low (approximately 10 percent). What does all of this data suggest? If organizations want to move the needle on readmission rates, they need to focus on medication mishaps. This includes addressing a failed medication reconciliation process that often leads to ADEs. They also need to implement safeguards to prevent medication non-adherence. Consider the following strategies for reducing readmissions. Organizations that do a poor job of reconciling medications on admission often end up with an inaccurate or incomplete list of medications at discharge. Such inaccurate or incomplete information can easily lead to ADEs and other problems that cause readmissions. Reducing readmits requires a concerted effort to collect accurate data on the front end. In the hospital setting, pharmacy technicians/pharmacists can perform this task. In the practice setting, a variety of individuals may do it, but the point is that it must be performed — and done so carefully. In today’s fragmented healthcare environment, patients often receive care in a variety of settings, many of which may not be affiliated with or owned by a single healthcare system. This can lead to poor or non-existent sharing of patient data between settings. One result is that physicians may be unaware of all the medications a patient has been prescribed and is taking. Without access to comprehensive medication information, physicians end up relying on patients themselves or family members to provide medication details. This can lead to incomplete or inaccurate medication lists — problems likely to be magnified when patients are taking multiple medications, have poor memories, and/or recently had their medication regimen changed. Some patients may only know their medications by color and shape, not name. ADEs can occur when organizations lack a process for medication reconciliation that spans multiple care settings. Without a correct and real-time data source that looks across enterprises to provide a reliable foundation for reconciliation, organizations may struggle to reconcile medication information correctly. When physicians prescribe a medication that negatively interacts with a drug the patient is already taking, a readmission is more likely to occur. Organizations need access to solutions that compile data from multiple sources in real time so physicians can make more informed prescribing decisions. When patients trust their providers, they’re more likely to become an active, engaged participant in their own care and take their medications appropriately. Building this trust requires physicians to understand what drives patients to avoid their medications and/or what barriers exist to proper following of medication directions. For example, some patients may have concerns about side effects or costs. Some may assume that when they don’t have symptoms, they don’t need to take their medication. Others may not understand when and how to take their medications. The more medications patients are prescribed, the more likely non-adherence will occur because it becomes more difficult to manage multiple medications, each of which may have very specific instructions for dosing and administration. Organizations should consider integrating pharmacy technicians and/or pharmacists into the care team. 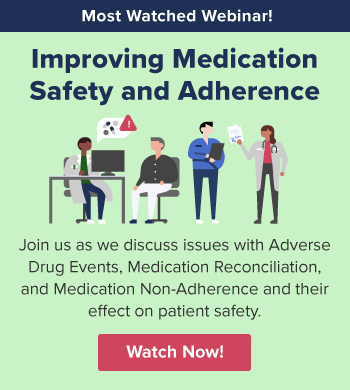 These individuals are medication experts and thus uniquely positioned to educate patients about how and when to take their medications, what to do if side effects occur, etc. They can also answer questions and address concerns, thereby mitigating the risk of non-adherence. In the practice setting, pharmacists can also provide valuable patient education post-discharge to assist with reducing readmission rates. These pharmacists can monitor and communicate with high-risk patients for a period of time following discharge, make recommendations to physicians, and perform additional outreach to patients on behalf of the practice. This can alleviate some of the burden off physicians, many of whom don’t have the time to provide such a level of education and counseling to patients. Patient navigators and care coordinators can also help fill this role. So often in healthcare, we’re unable to take a one-size-fits-all approach. The good news is that this isn’t necessarily true when it comes to readmissions related to medication mishaps. A strategy that includes people and solutions (e.g., pharmacists providing patient education), technology (e.g., resources to view medication data across settings), and processes (e.g., workflows that prioritize front-end reconciliation) tends to work across the board. The sooner organizations implement such a three-pronged approach, the sooner they’ll have success with reducing readmissions. Cureatr fills in the information gaps in healthcare to create a picture of a whole patient, giving clinicians vital depth and context into who they are, what illnesses they’ve faced, what medications they’ve taken, where they’ve been within healthcare facilities and where they’re going, as they’re going there, in real-time, so clinicians can take real action to deliver better care.